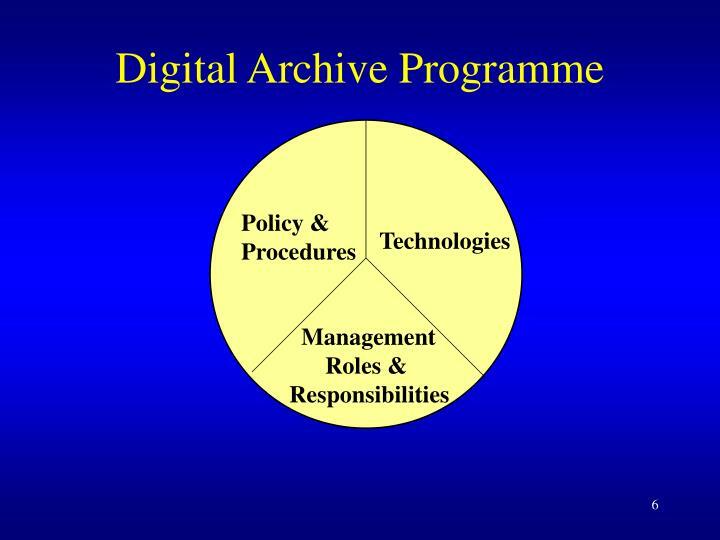 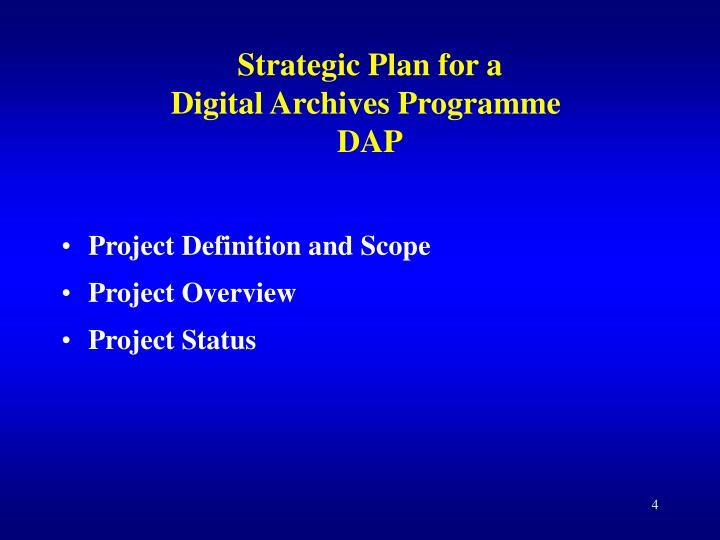 The Digital Archives Programme is a combination of policies, procedures and technologies that will facilitate the proper management, appraisal/retention and preservation of digital records and provides for the long term access and use of materials with archival value. 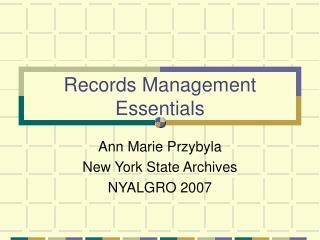 Preservation requires active management that begins with record creation. 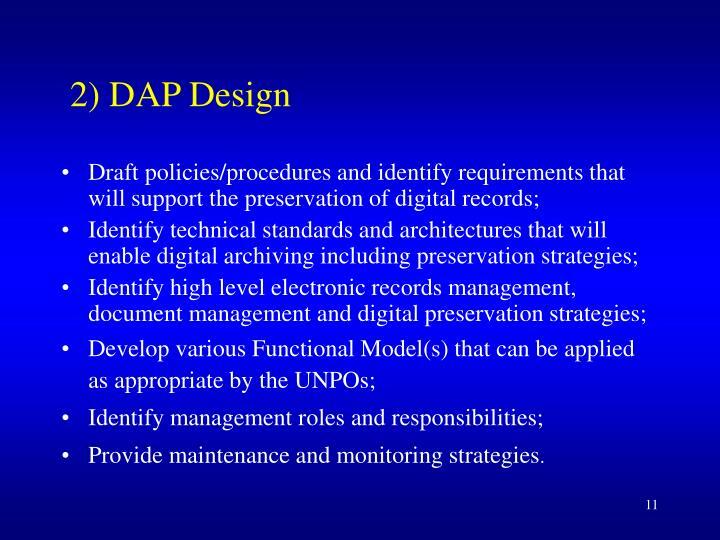 Digital records created or received in UNPO NY offices and identify issues related to digital records created away from NY that may impact on DAP effectiveness. 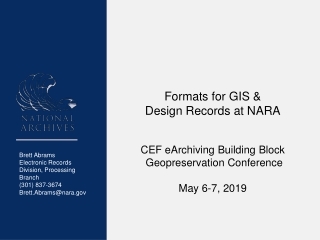 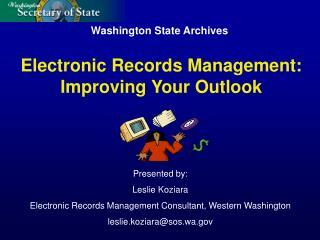 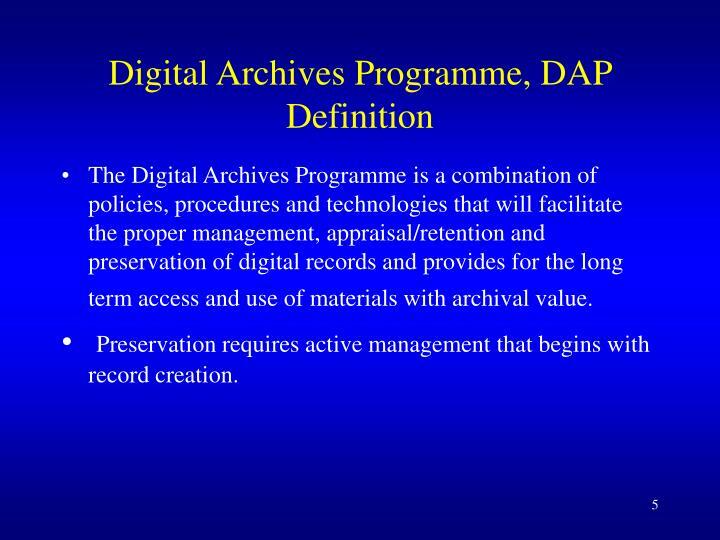 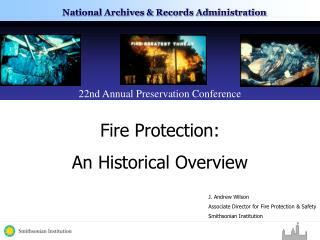 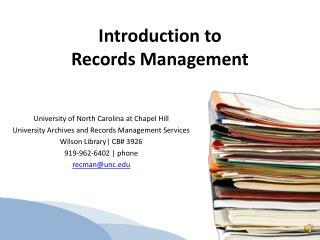 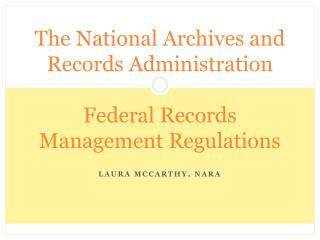 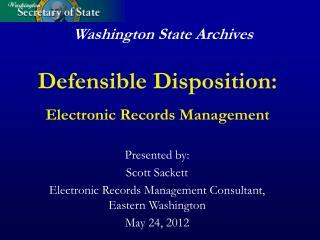 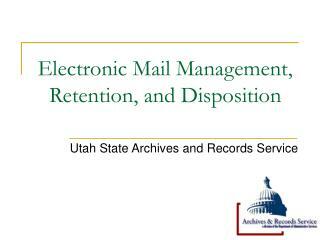 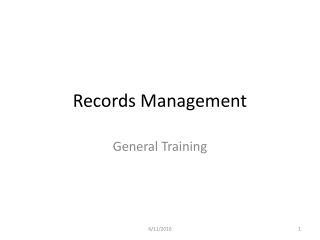 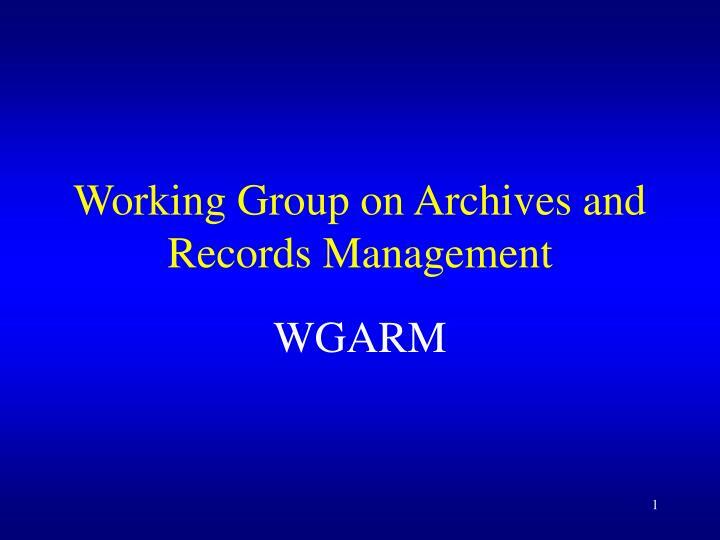 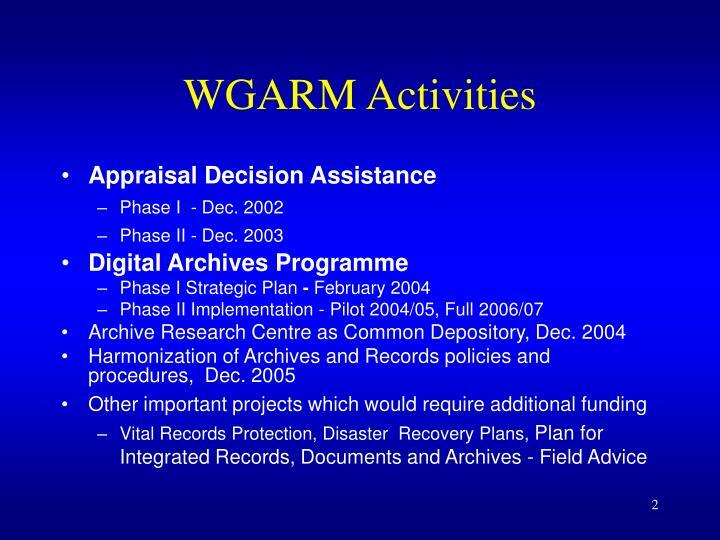 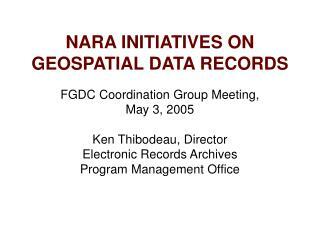 Digital records of archival value but contains elements that interact with all records; identify Electronic Document Management System, (EDMS), and Electronic Record Management System, (ERMS), issues that effect DAP performance. 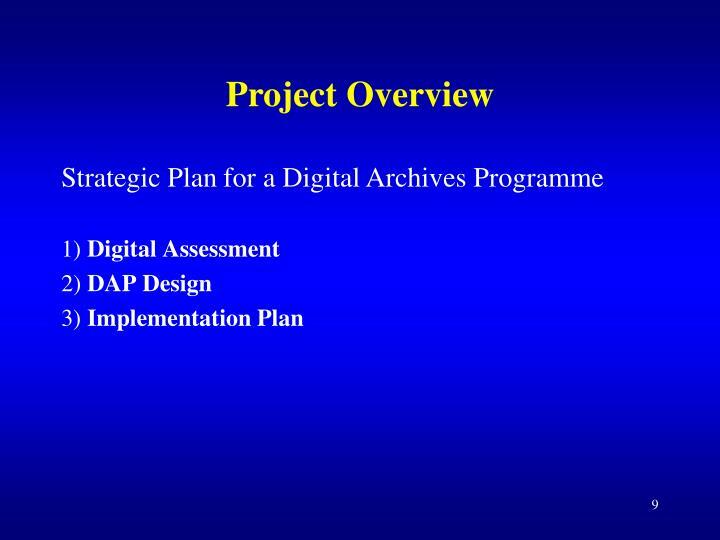 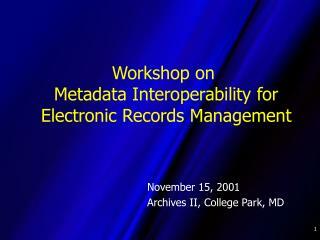 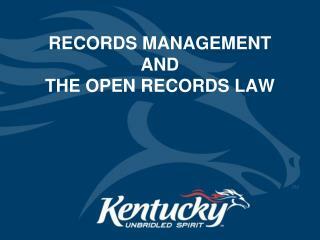 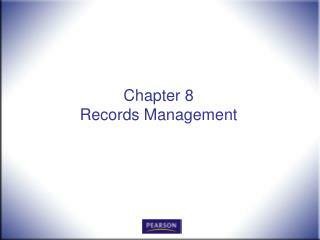 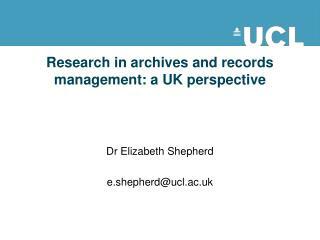 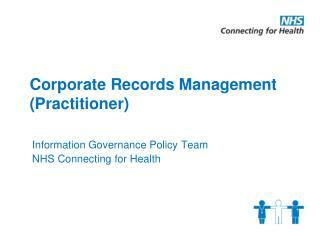 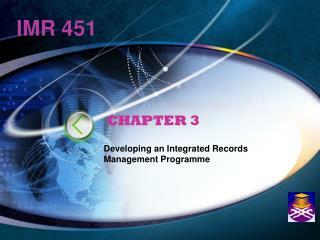 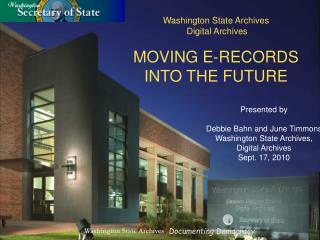 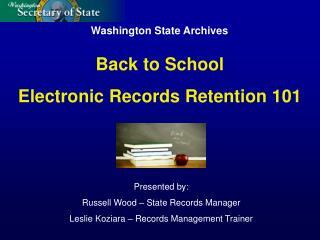 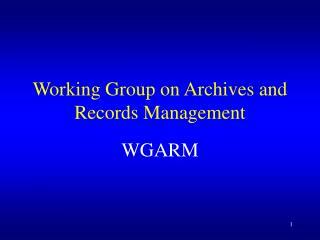 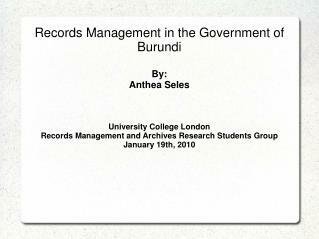 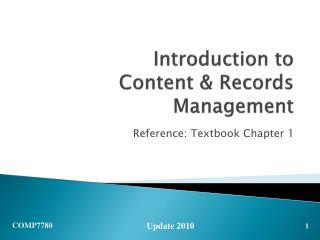 Review current initiatives and practices undertaken to identify, maintain and preserve digital records. 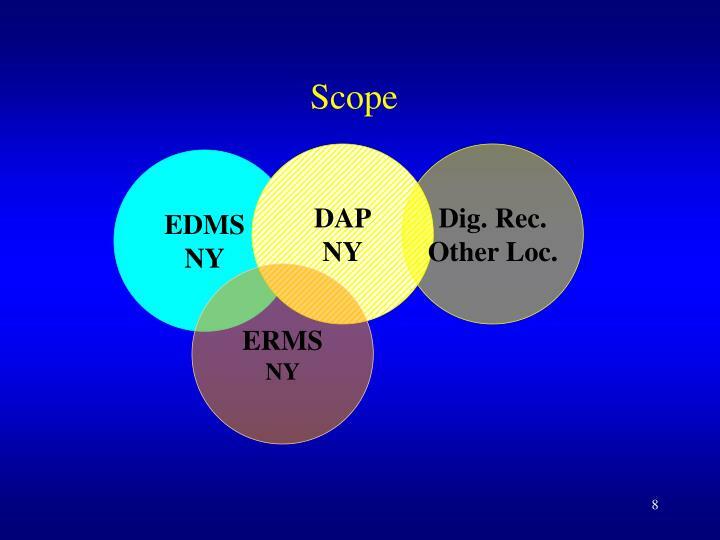 Provide maintenance and monitoring strategies. 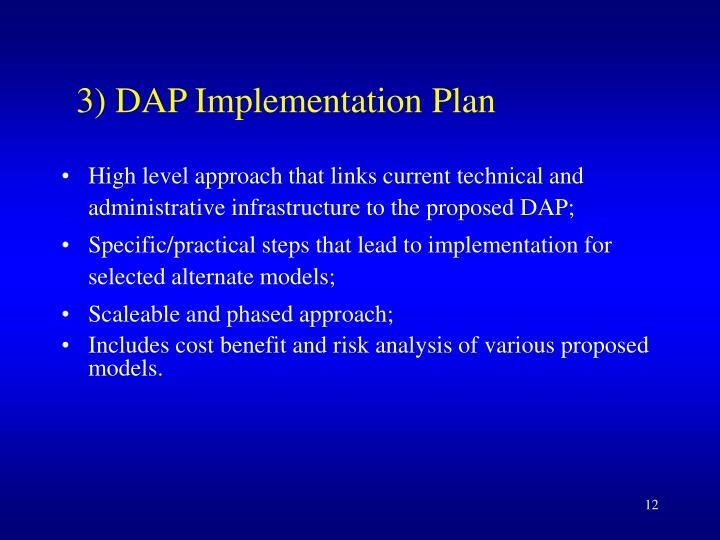 Includes cost benefit and risk analysis of various proposed models. 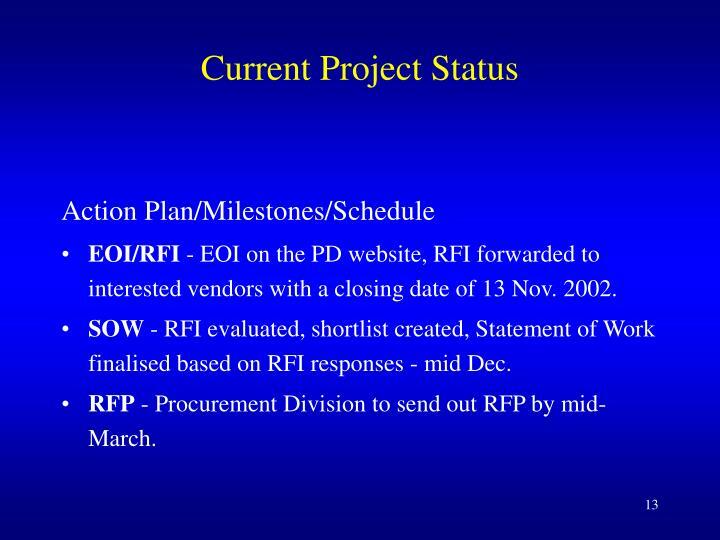 EOI/RFI - EOI on the PD website, RFI forwarded to interested vendors with a closing date of 13 Nov. 2002. 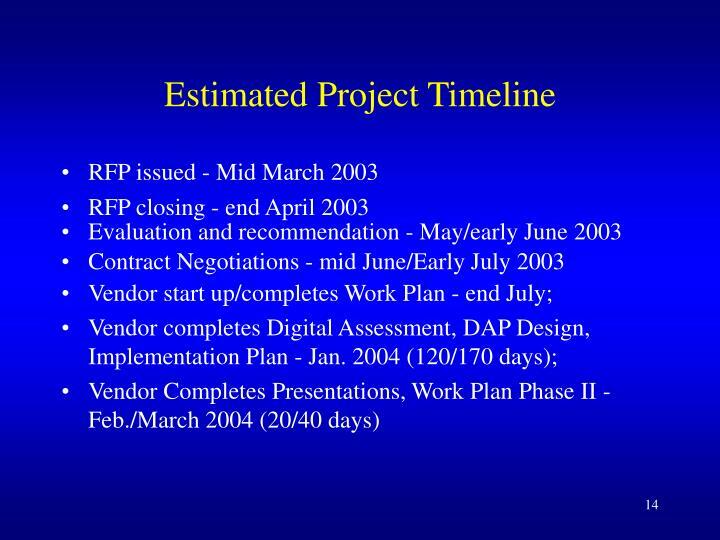 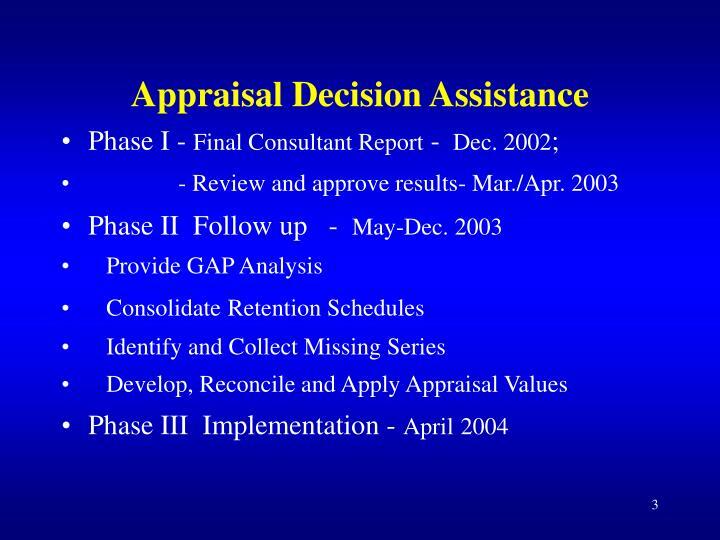 SOW - RFI evaluated, shortlist created, Statement of Work finalised based on RFI responses - mid Dec.
RFP - Procurement Division to send out RFP by mid-March.